You should only wear white shirt and white pant uniform. The temple opens at 6.00a.m. and people depart from Bangkok as early as 3.00a.m. – 4.00a.m., hoping to get a queue number at the temple. The temple is opened only on Fridays, Saturdays, and Sundays, and accepts only 100 consultations each day. So you must be an early bird before those people come if not you will miss a chance. But you cannot find it in the google map. You can only find google map using this. Because I’ve tried many time and drive my car around that area. Here is their contact number. Here is the google map for the actual location that I marked with GPS. 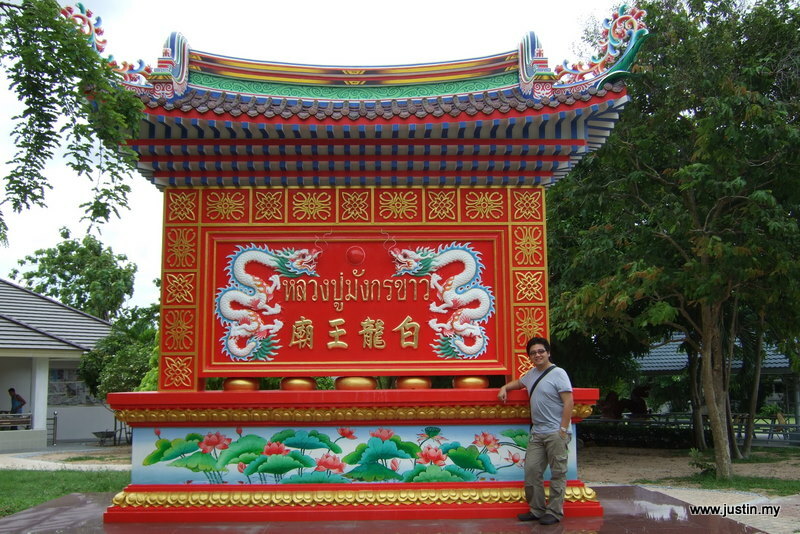 This entry was posted in Maps, Others, Temple and tagged Chonburi, map, Pattaya, Si Racha, sriracha, temple, tour, White Dragon King, White Dragon King Temple, white dragon king temple thailand, white dragon king thailand, white dragon temple, 怎样去, 泰国, 白龙王庙. Bookmark the permalink.